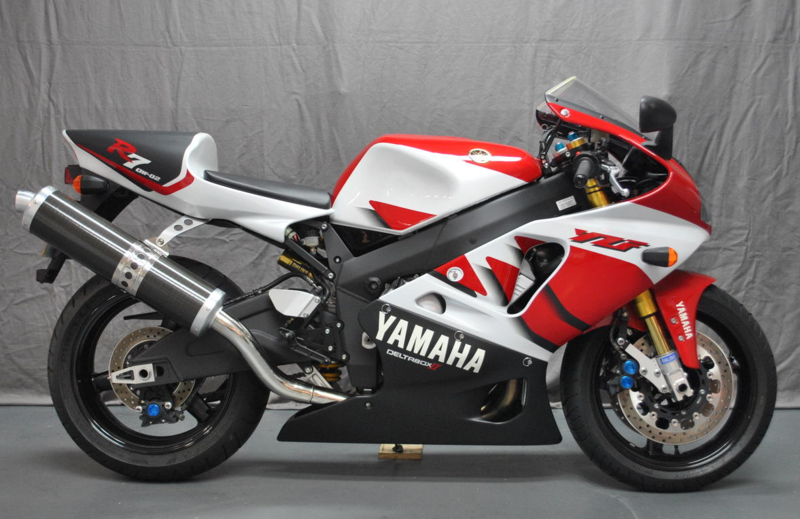 A zero mile Yamaha R7 will go up for auction in the Bonhams end-of-season auction at the Stafford Show on October 21. The 2002 model R7, which has been signed by Noriyuki Haga is estimated to fetch between £12,000 - £14,000. Also up for auction is a Yoshimura Suzuki Hayabusa X1. It's one of 100 bikes built to celebrate the 1998 Suzuki Eight-Hours prototype class winning Hayabusa built by Yoshimura. A plaque identifies the bikes as number 41. Other notable bikes include clasic Vincents, Velocettes and BSAs.